The body has a wisdom of it’s own – it maintains and repairs us with every breath. 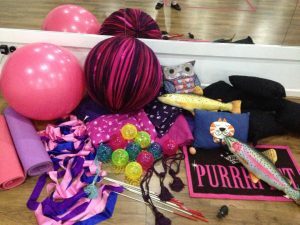 Being Purrfit means honouring yourself by allowing authentic bodily freedom of moving, stretching and playing whilst re-awakening forgotten sensory perceptions. The outcome is what we call ‘therapeutic fitness’ promoting self-healing & personal confidence. With a mischievous sense of “cattitude”, Feline Good classes provide a blend of therapeutic fitness, animal instincts (often forgotten) and unique social games (such as ‘Rat Arsed’, ‘Trout Tossing’ & ‘Cat Walk’). With an emphasis on personal and interpersonal confidence, we take lots of time to refine individual skills e.g. individual body-mind balance, strength & oneness. Nourishing that mind-body harmony, we explore themes of personal space, peace, identity, healing – and heightened senses. Drawing on elegant movement, elements of yoga, burlesque and circus, participants reawaken their most natural reflexes and permit themselves to come alive in the moment. Feline Good class provides classes and workshops (from 60 minute group sessions to weekend long ‘cat-camp’ retreats!) of playful activities, insight and personal power charging – with extra time for mindful thoughts, lounging around, snoozing and chatting. Cats instinctively take time to heal – they rest several hours every day – and it often seems ‘lazy’, ‘decadent’ to humans, especially the padding and purring. But in actual fact, their padding is self-soothing and their purrs are an audible aspect of their doing exceptional all over body maintenance. They are literally ‘vibrating’ at around 40hz – a frequency now understood to facilitate bone and muscle regeneration (ever tried the vibrating plates at the gym? Same idea!). Similalrly, as kittens, they ‘pad’ (massage) their mother’s belly to stimulate her release of milk, as adults they continue pad each other, us and our best cushions to stimulate the release of “feel good” neurotransmitters. We believe they also do it to stimulate the chemistry of others too, when they sense their neighbouring creature is in distress. Unlike cats, humans tend to neglect themselves often going without the necessary sleep, rest or neuro-chemical nourishment. We are then tired, run down and become physically and mentally ill and fail to see the ‘vicious cycle’. How much time, money and energy do you spend on gimmicks, remedies and cosmetics? But don’t spend the time to nourish and maintain our weelbeing? This ‘addiction’ to illness is perceived as ‘normal’ for most of us. What if you could stimulate your own autonomic healing systems? Humans are weird. Be more cat.